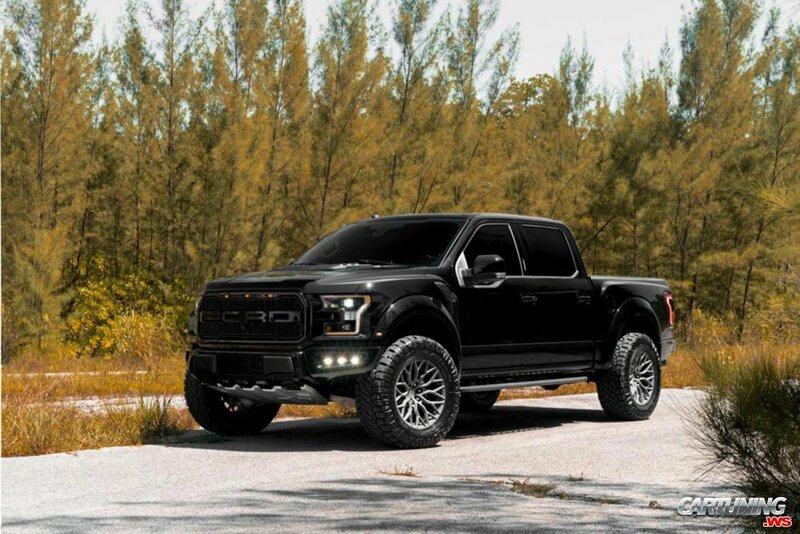 Black F150 Raptor with some modifications for off road. Lifted suspension, angry tires, additional LED lights, tinted windows. But his wheels Vossen, on my opinion, are more for city car, than for work truck outside asphalt.